Looks like Hepter's underside is a lighter color than his main body's color. ...why? You just showed us the best part! Check your PMs man, sent you a package a month ago that might still be waiting for you at the PO. IS that silver-ish paint on the bottom, or reflection off metallic plastic!? That pose is just perfect at making it hard to tell! Maybe his newly-acquired Energon Matrix could evolve his body into a new, bigger, Headmaster Transtector body through the power of Burning Injustice! His preorder has been extended for 1 week. Moving from the 21st to the 28th. Hopefully that's not a bad thing. 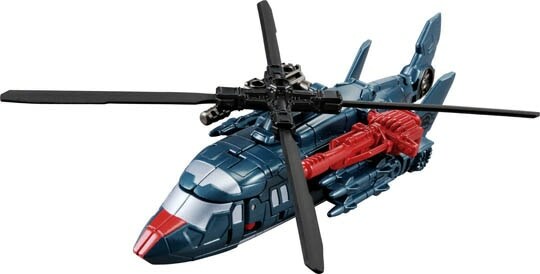 In the image below you can see what looks like a cut out section on the underside of the helicopter mode. That's the metallic paint we see ino the latest image with Black Convoy. Ah, so the reflectiveness of the paint got it digitally removed in the first promo pics! I wonder why they went silverish? To be less white and conspicuous when he's in arm mode? Lots of great new photos of the figure. I think I'm actually going to buy Baldigus/Ruination instead of Bruticus. The hands and feet are going to be replaced (no forward/backward ankle motion and totally static hands just isn't good enough) but I actually prefer the Ruination colours to Bruticus, they come with extra guns, and it's goddamn RUINATION. Hopefully the QC is alright. Not gonna lie though, it woulda been cool to see this in Hasbro toy colours, with grey combiner kibble and sand-blue Armourhide. Or the urban camo deco of that one Wal-Mart set. I keep saying it, but man. There is no photograph that makes Blast-Off/Movor's shuttle mode look in any way good. What a disaster that thing is. This set is taking too long to get here. Edited by Sabrblade, 12 November 2016 - 02:22 PM. Wow, their heads are really tiny there. And haha on the page Randy linked Google is translating Baldigus and Combatron as "Baldi gas" and "Combat Ron." And yet, I've preordered the set just for him anyway, because I am pathetically easy to manipulate. Edited by ▲ndrusi, 12 November 2016 - 10:21 AM. Combat Ron is the arch enemy of Rescue Roy. Edited by Rycochet, 12 November 2016 - 10:30 AM. 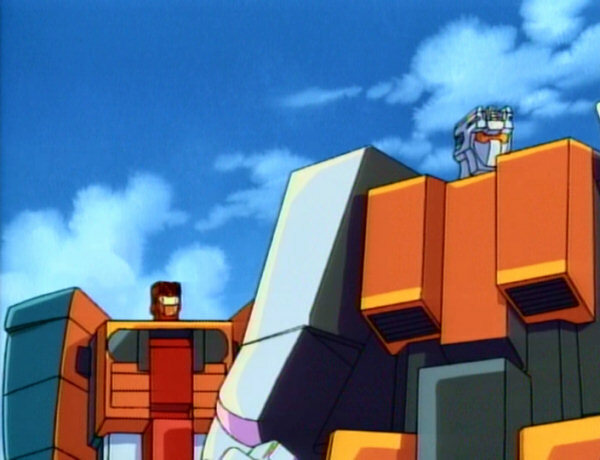 Every time someone posts a screencap of RID, I'm like, my god, was RID really that ugly? I cannot wait for this set to be released. He looks better everytime I see new pictures. What are your plans for the hands and feet? I can take them off your hands if you weren't planning to keep them.